Mechanical 16Fw X 16Rv gearbox with synchromesh shuttle, independent PTO. 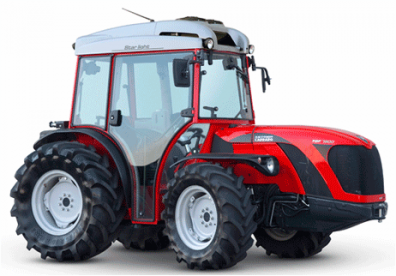 ﻿The TGF - S Series - is a single-direction tractor with differentiated steering wheels. Consistently with the family-feeling focus of the top-of-the-range AC tractors, the new design helps improve both appearance and operating comfort. The TGF stands out for its low centre of gravity which assures stability and safety on slopes and rough terrain. 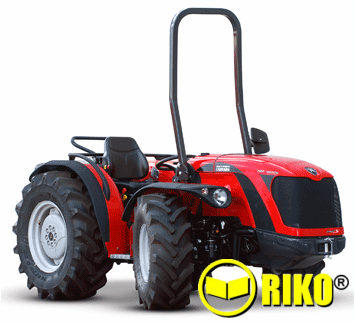 Its compact structure, with the front wheels smaller than the rear ones, offers precise steering and very tight turning. 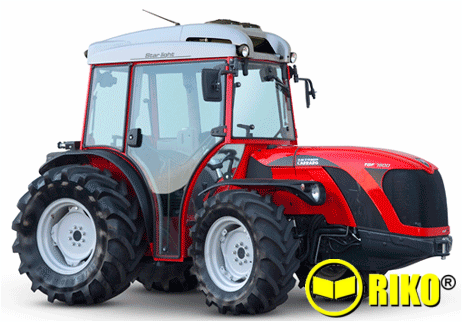 The TGF has been designed for operators wishing to move nimbly and precisely between narrow rows of crops or fruit trees and can be configured with many tyre combinations to achieve perfectly customised versions.